We present the only SDCC preview show that dives into the subcultures of SDCC (AKA “the REAL Comic-Con”) and the hell out of Hall H! This special team-up episode is packed with three interviews, including Saturday morning TV royalty Marty Krofft (Land of the Lost, HR Puff N Stuff) writer director Spencer F. Lee to talk about his fandom film SDCC premier From the Bridge-A Documentary and cosplayers Chris Villian and Dre Ronayne talk about a life in other people’s shoes. Don’t Spend your Comic-Con sleeping in the dirt waiting for Hall H. Join us the pop-culture outcasts to talk, cosplayers, LARPERS, steam punkers, toy collectors, Small Press, Artist Alley and let’s highlight few amazing panels and programs that are too often overlooked. For our collector friends, Slick McFavorite gives you the low-down on how to score those sweet, sweet exclusive items and line up smart. 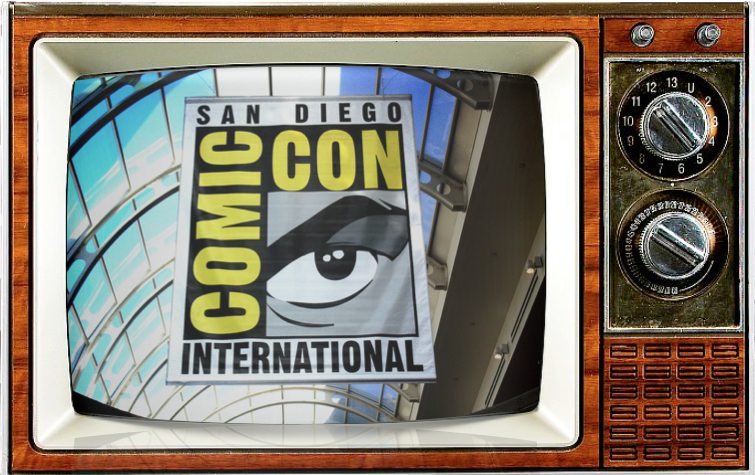 Don’t have a San Diego Comic-Con badge? We have your back. Learn what you can do for free in the gorgeous Gaslamp Quarter outside of SDCC. Listen, learn, & love Comic-Con again for the first time, only on Saturday Morning Cereal! NSFW. NEXT POST Next post: Meet the Aces from Star Wars Resistance!